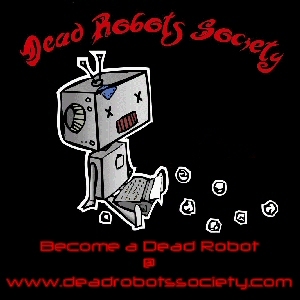 What the title ACTUALLY references is my guest spot on Justin Macumber’s Dead Robots’ Society podcast. So I don’t even really have time to waste talking up this really fun live interview (in which I talk about my birth as a writer, my fairy tale of getting published, and my hatred for being called “ALTHEA”). Let’s just skip all the hype and go straight to the main event, shall we? Also, check out Justin’s fabulous new book, A Minor Magic, here! This entry was written by Princess Alethea and posted on May 1, 2013 at 12:56 pm and filed under Interview, Podcast. Bookmark the permalink. Follow any comments here with the RSS feed for this post. Wow, recorded last night and it’s up ALREADY? I went to the website to see it and it’s over an hour so I’m definitely going to have to have a look at it later today or tomorrow when I have some time. 🙂 I skipped through it a tad bit though, sorry Princess Alethea! It’s just that’s the kind of girl I am, I can’t stand suspense, I read the last page of a book just so I can have the relief of knowing the star lives. So now you see why I had to ‘preview it’ as it were. I rate everything I do PG-13. I try not to promote foul language in a live interview, but sometimes it just happens. LOL I heard most of it yesterday, and it was definitely worth listening to! And you did NOT talk to much. Like you said, interviews where the author just answers “yes that’s right” and “no not really” aren’t very entertaining or enlightening if you ask me. So that ‘YA Horror’ book you wrote, that you thought was set in a fictional place that turned out to be a real location… you said you went there to do research on the place? Is that because once you realized it was real you had to get all your facts straight? I think it would have been easier to just rename it so you could make everything up yourself. Oh and that’s a pretty good disclaimer “be advised, I may have written a children’s book but things I say and do could often be rated PG 13.” Hahah!! And hey…email me your mailing address so I can send you the copy of HERO that you won. Your first cover got the most hits on Facebook — I think because people thought that was the ACTUAL new cover! It was so great!